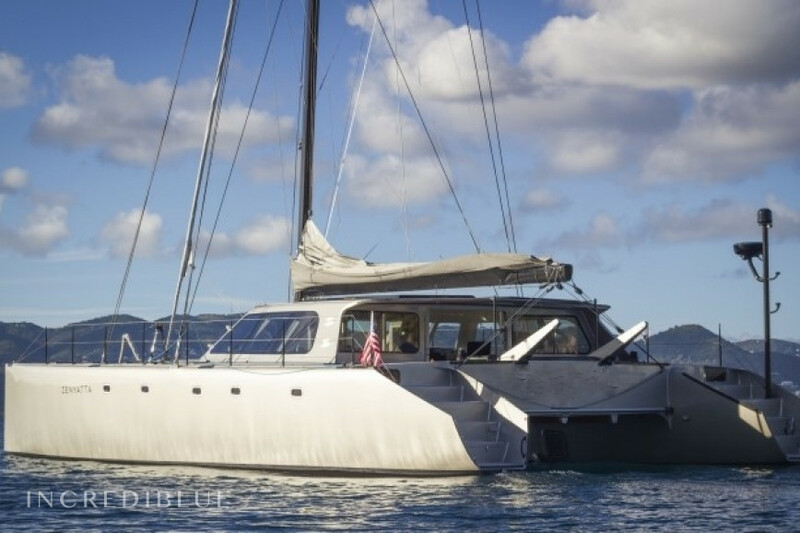 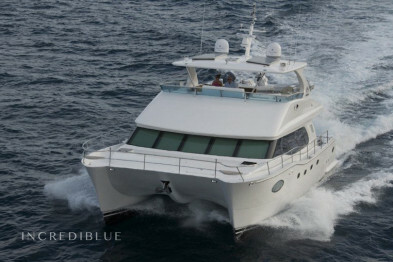 This Gunboat 62 is unequivocally the pinnacle in luxury, speed, and style in a performance cruising catamaran today. 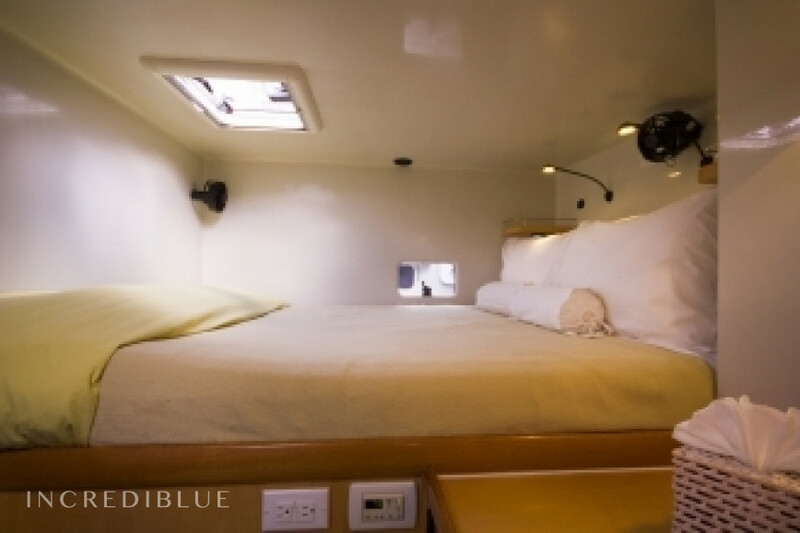 Gunboat derives its name from the gun blast to indicate the moment the first boat crosses the finish line in a race, hence, "getting the gun". 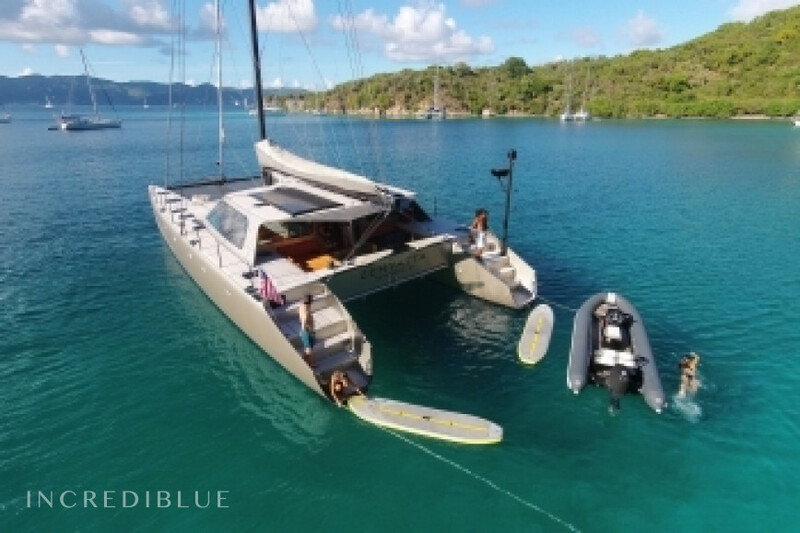 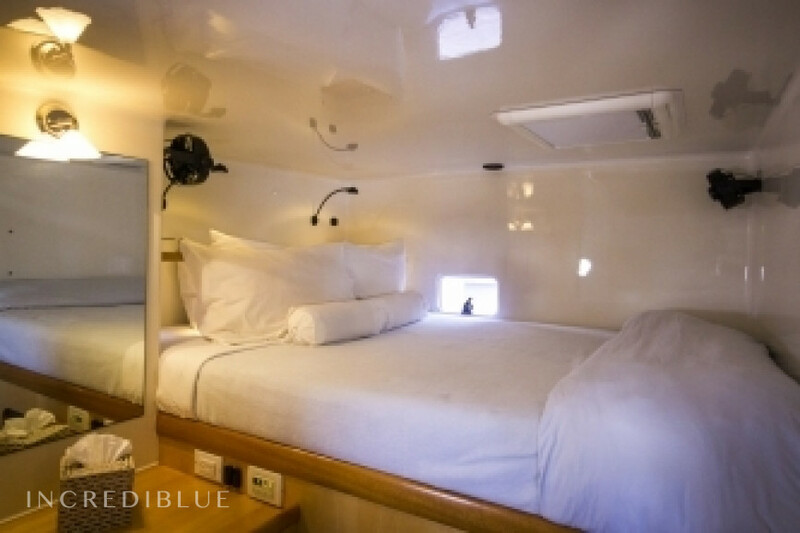 Constructed of lightweight foam core and carbon fiber and outfitted with the latest in grand prix sailing technology, you'll find speed and comfort go hand in hand when sailing aboard this catamaran. 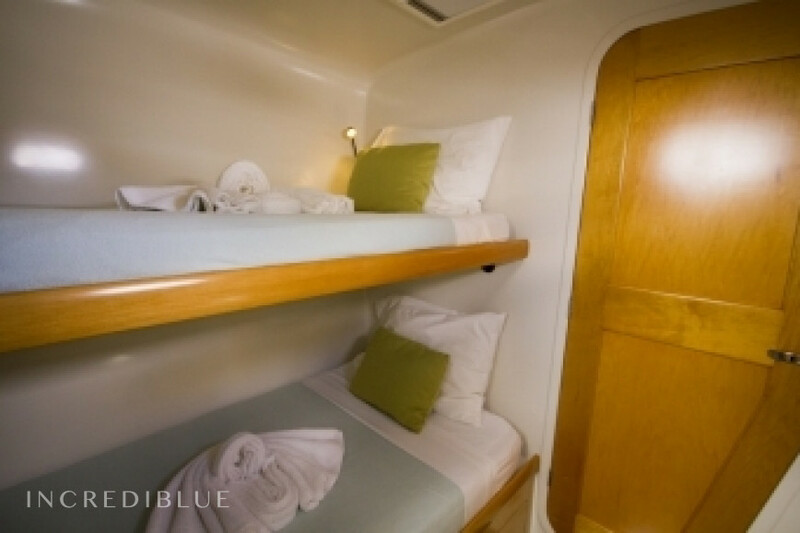 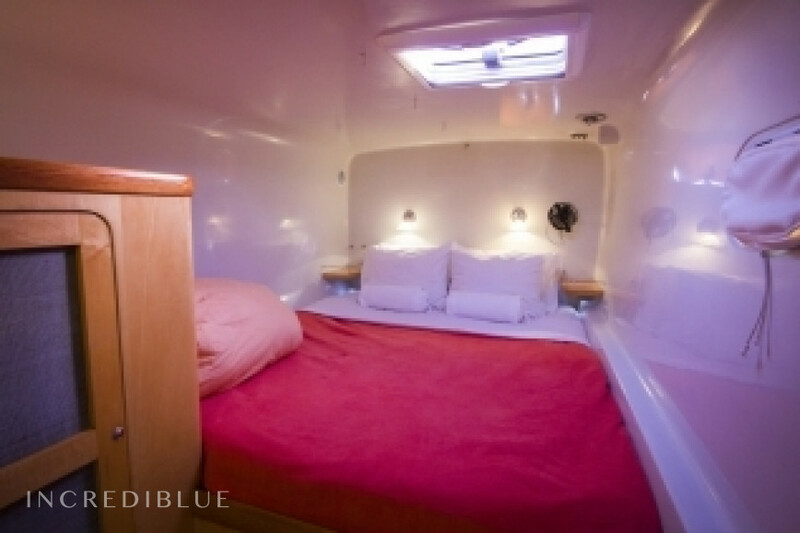 A dream come true to even the most discerning charter guest, she boasts three guest staterooms plus crew, with three large heads with showers, as well as a separately enclosed shower. 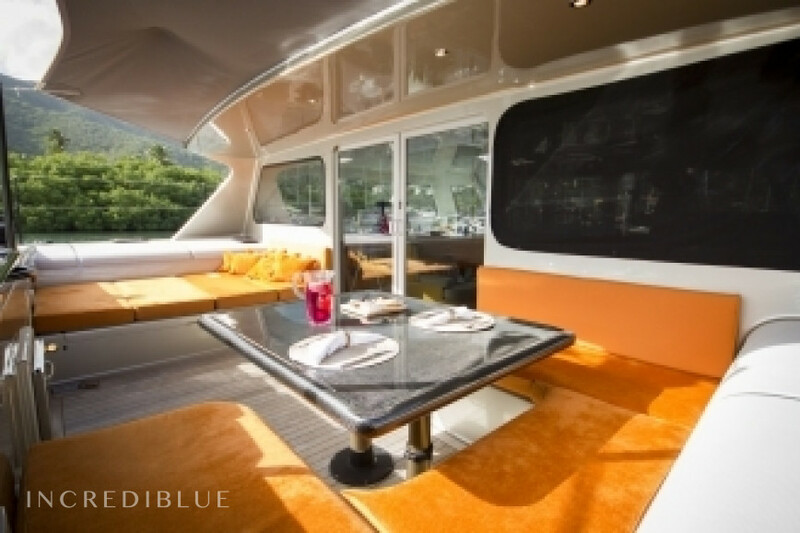 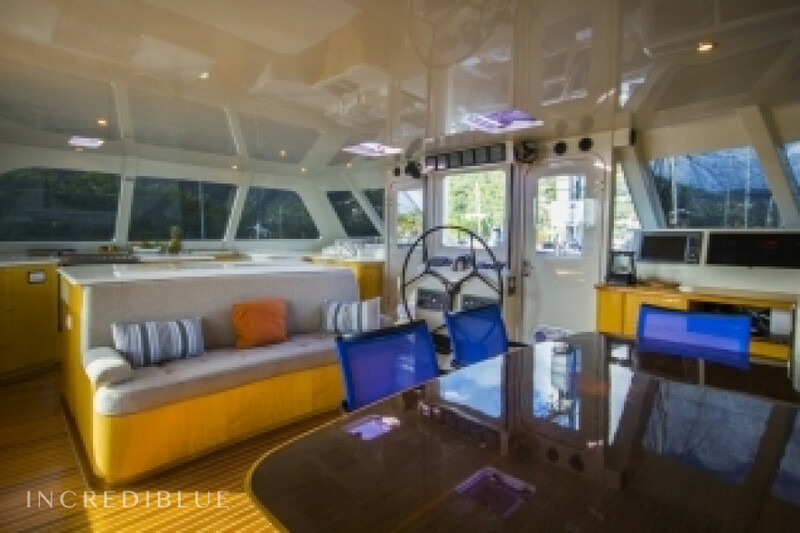 The spacious salon, galley and dining area open into a sprawling aft cockpit complete with a large daybed and seating area for lounging and outdoor dining. 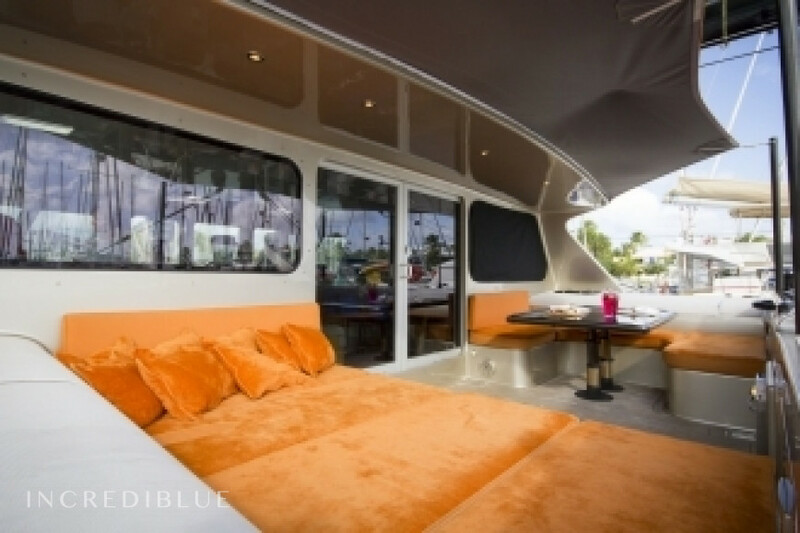 If you choose to be involved in the sailing action, come tend sails in the forward cockpit or take a front row seat to the action relaxing in a beanbag on the forward trampoline.